Rent Secret Garden Event Center | Corporate Events | Wedding Locations, Event Spaces and Party Venues. 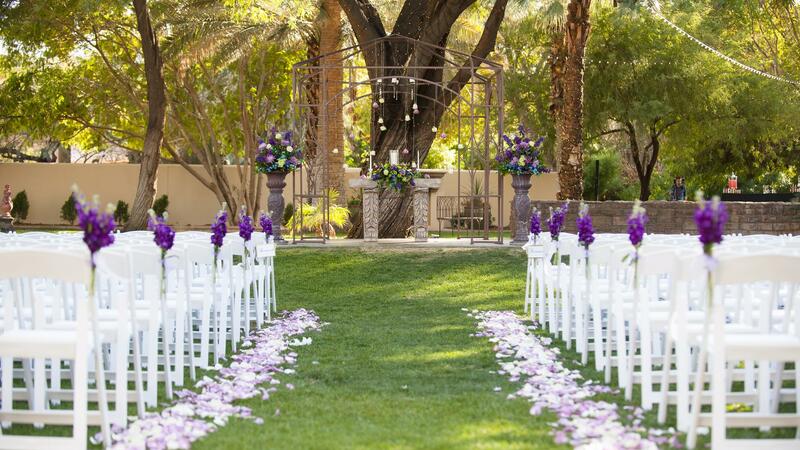 Nestled at the base of South Mountain, the Secret Garden offers and intimate setting rich in history for outdoor ceremonies and indoor receptions. The 1929 Historic Home features a bridal suite with an adjoining balcony and clubroom for the groom. The Wedding Garden, lush landscaping, fountains and ponds offer a timeless photographic setting. Outside vendors are welcome, and we offer several different Packages to suit your needs. Please join us for our Open House Wednesday evenings from 5:30 P.M. to 7:30 P.M to visit our beautiful property. Secret Garden provides an excellent venue for Phoenix corporate meetings and events. It’s outstanding location in central Phoenix makes for easy access from all areas of the valley and beyond. With it’s unique and intriguing nuances it makes for the most productive atmosphere possible.